VI.17.26 Pompeii. Gentle ramp leading from corridor (at rear) to roadway. 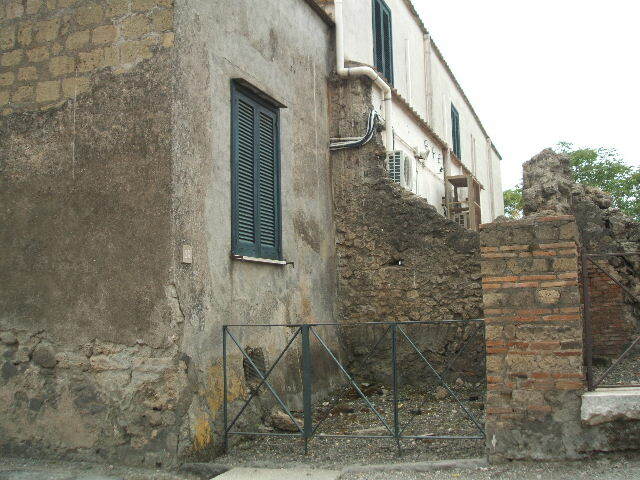 VI.17.23-26 was also known as Casa di Polibio or House of Julius Polybius or Casa del Leone. VI.17.26 Pompeii. May 2005. Looking west to entrance doorway. According to Mazois – the shops would be accounted for at VI.17.19/20/21/22, and with two shops at VI.17.23. A. Passage which, by means of a gentle ramp, leads to the roadway (see VI.17.25).